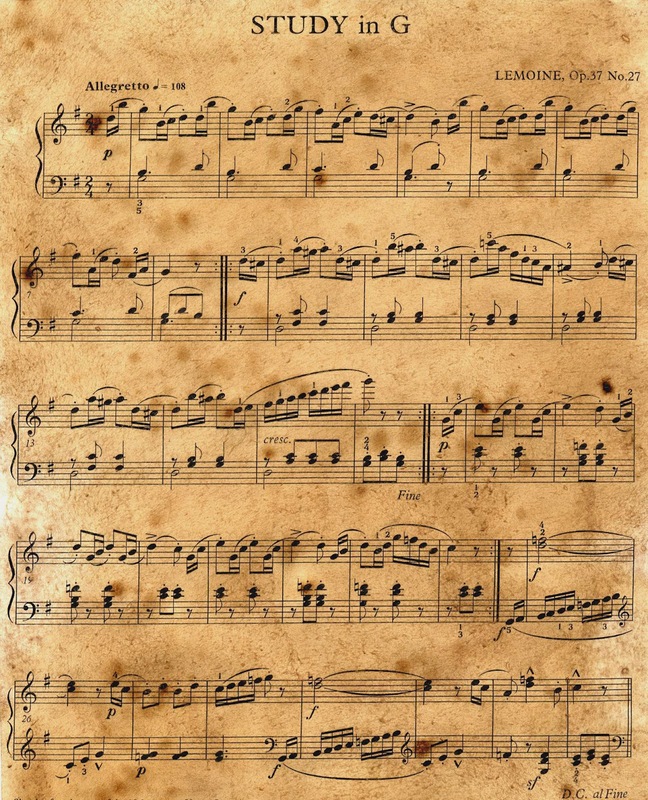 An Introduction to Reading Sheet Music – It's Not So Hard! Reading music is one of those skills that lots of people want to be able to do. It's creative, challenging and it impresses almost everyone while helping to develop your brain. At once it's 'cool' and it's 'cultured' and without being able to read music you will be missing out on a huge aspect of life. The good news is, that reading music isn't actually as hard as you might at first have thought, and is actually very logical. In fact it's easy enough that you can understand the basics here, so that's what we're going to do. The very basic way to understand reading music is that as the notes go upwards, so the pitch increases. 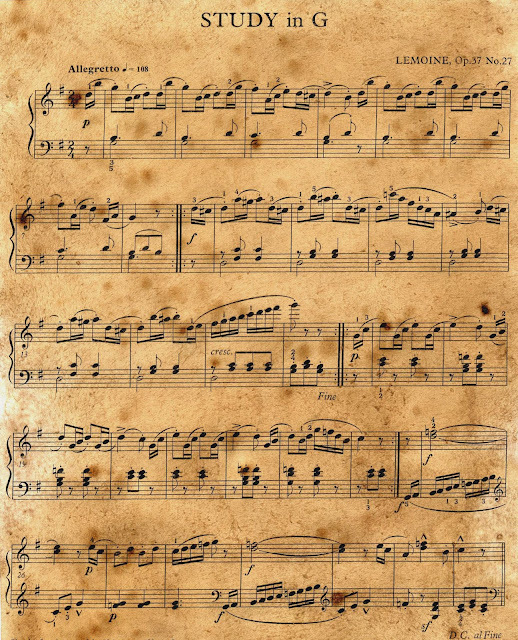 Sheet music is essentially written as five lines, with the notes then drawn on top of these, so if the note is on the very top this is a high note, and if it's on the very bottom it's relatively low. Now when you're playing the piano you have two sets of these lines with different 'cleffs' - that's because you can play to sets of notes at once with your left and right hands, but for other instruments such as guitar or violin there's no need for more than one set of bars. Now what you also need to understand is that there are 7 main notes, or 'tones'. These 8 notes are labelled, 'A, B, C, D, E, F, G'. If you look at a piano you'll notice there are lots more than 7 notes, but this is because the notes then repeat themselves - go one tone higher than G and you get to 'A' again. The only difference here is the 'octave' but the note is technically the same as the lower A, just higher. Normally you will play across just two octaves. Now these notes will be placed both on and between the lines. The bottom line of the treble cleff for your information is 'E'. Now the line about that is 'G', and the space in between it is 'F'. So far so easy. The next thing you need to notice when looking at a piano is the black notes. These are 'semi tones' which are halfway between two tones. So halfway between C and D is a note called C# (C Sharpe) or Bb (B flat) - those are the same note just written differently. Reading this on the music is rather simple - they are denoted by either a # sign or a 'b'. If you have a C then and it has a # next to it, you play the black note to the right &ndash; C#. If it has a 'b' next to it you play the one to the left which is Cb or B#. (Or at least you would - just to confuse matters there is no B# or Cb - only certain notes have semi tones between them). This is the basics of playing a tune, and now to understand the timing you simply need to look at how the notes are written. If they are a black dot with a straight line up or down next to them and a quiff then this is your basic single note. If the notes are empty and white but still have the timing, then you have a note that lasts for two beats. If it's black and it has a dot after it then that's three beats, and if it's empty with no stick next to it then it's 4 beats. Meanwhile, if you have multiple black notes with tails (crotchets) connected together along the top by a slanted bar, then these are played quickly to fit a single note and are called quavers or semi quavers depending on how many there are. If you like music and want a musical gift for a loved one, you can also consider buying reuge boxes from the author's website.